Bridge Investment Group paid $74.3 million for Sawgrass Technology Park in Sunrise. A joint venture between funds managed by Oaktree Capital Management L.P. and Fifteen Group sold the 11-building office park at 1601 Northwest 136th Avenue. Chris Lee, José Lobón and Marcos Minaya of CBRE represented the seller. SR Technology is one of the major tenants at the office park. The software company leased 77,235 square feet at Sawgrass Technology Park last year, marking one of the largest office leases of the year. A joint venture between Cardinal Point Management and Halstatt Real Estate Partners paid $41 million for Trade Centre South in Fort Lauderdale. 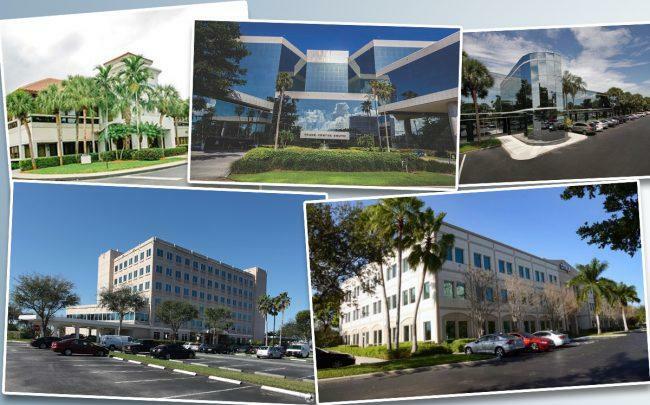 San Diego-based RA Advisors and Fort Lauderdale-based Mainstreet Capital Partners sold the 216,038-square-foot office building at 100 West Cypress Creek Road for $162 per square foot. The firms acquired the building in 2011 for $22 million, property records show. It was built in 1986. Miami-based YMP Real Estate Management acquired an office park in the Cypress Creek area of Fort Lauderdale for $29.25 million. YMP bought the 237,682-square-foot Lakeshore Business Center from Boca Raton-based Morning Calm Management for $123 per square foot. Developed from 1986 to 2000 on a site spanning about 17 acres, Lakeshore Business Center is a two-story, four-building office property that was 79 percent leased when the sale closed. ECI Telecom, Hair Visions International and Kirlin Florida are among the tenants of the office park at 5200 and 5200 Northwest 33 Avenue and 3201-3125 West Commercial Boulevard in Fort Lauderdale. Space Coast Credit Union sold a six-story building in Miramar for $18.3 million. MFC 3700 Investors, which is managed by David Berger of Miami Beach and Ezra Katz, CEO of Miami-based Aztec Group, bought the 145,755-square-foot building for $125 per square foot. The building at 3700 Lakeside Drive was built in 1996, according to property records. Broward County bought an office building in Fort Lauderdale for $11.45 million. An affiliate of Atlanta-based Goddard Investment Group sold the 74,318-square-foot building at 1801 Northwest 49th Street for $154 per square foot, records show. The building was constructed in 1999. Goddard Investment Group had paid $8.4 million for the property in 2015, records show.